Activity is ramping up for campus planning, and there are lots of new updates you should be aware of. We now have the ability to target the parents of college students nationwide with opt-in email. Email campaigns for parents will be handled the same way as our student email programs, so request a fresh count today. QR codes are all the rage. If you haven’t experimented with QR codes yet, now is the time. We can help you generate QR codes and consult with you on how to use them in your college marketing this fall. There’s no charge. Just call us, and we’ll be happy to share what we know. College football will be hot! If your client or brand would tie in well with college football, then let us know. We can kick off your project with special football issues in campus newspapers, tailgating promotions, alumni email blasts and local bar/restaurant promotions before and after games. We recently partnered with YOUniversityTV to offer online video advertising that reaches millions of high school teens and community college students. If you haven’t seen this yet, check it out here. It’s new, it’s cool, and we’re the ones to talk to if you want to start a program. Go Greek! It’s no secret that those in a fraternity or sorority have enormous influence on campus. If you want to reach this group, we have postal lists available for thousands of Greek houses across the country. We can help with custom sampling, mailings, door hangers, event sponsorship, and more. Know of a nonprofit in need? We are now taking applications for our annual College Newspaper PSA Program. This program gets one lucky organization exposure in hundreds of campus newspapers across the U.S. for the entire school year. The deadline is August 30, so help us spread the word. 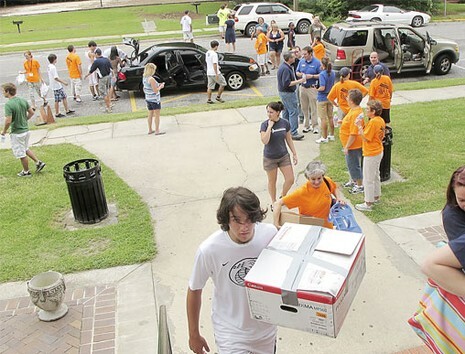 Need other ideas for reaching college students this fall? We have a media kit full of ideas to get the creative juices flowing. Request one today. 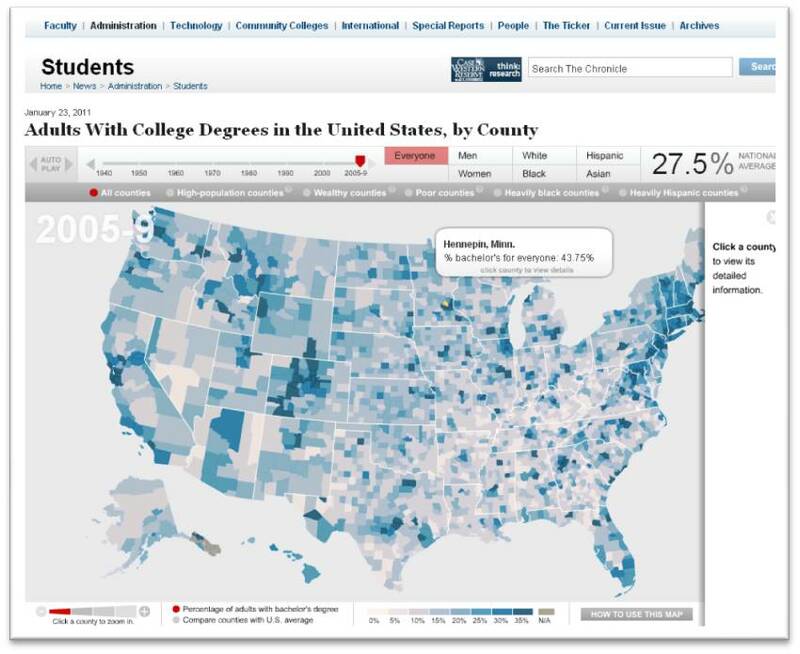 This is a screenshot from an interactive map from The Chronicle of Higher Education. This tool will allow you to view by date all adults with college degrees in the United States. This tool can help you identify markets and demographics that are important to your marketing/advertising strategies. As you see, you can gather analysis by wealth, gender, and race. You can also click on any specific county for it’s individual stats. This interactive map could be beneficial to enrollment marketing and recruitment advertising efforts.